23% OFF BUNDLE DEAL! SCROLL FOR DETAILS! Learn to invest successfully as well as create passive income through Instagram for only $13.99! Buy both these books as a bundle and receive 23% off the combined regular price! Want to learn about investing but also about Instagram growth and monetization? Check out this special bundle deal and learn to make money through investing as well as through Instagram! Instead of $10.99 and $6.99 USD individually, get them both for only $13.99 USD! Investing is a crucial skill for anyone who wants to build wealth, but unfortunately it can be quite confusing at first. Are you struggling with investment decisions or don't know where to start learning? 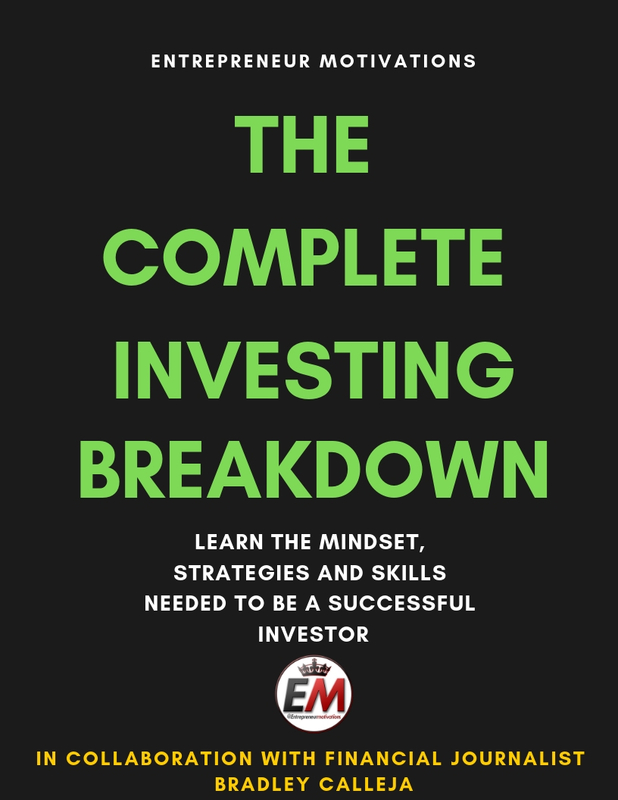 This book completely breaks down the mindset, strategies and skills needed to be a successful investor, helpful for investors of any skill level, beginner or expert. Regardless of your skill level, this book is worth a read and can provide immense value to you, providing insights and mindset tips to help you along your investing journey. Remember, as an investor you are constantly learning and your investing journey is never over. Even investing greats like Warren Buffett say that every investment they make is a learning experience. To put the icing on the cake - this book is written in partnership with a financial journalist! Bradley Calleja of Calleja Capital is featured in this book and provided an in-depth explanation of how to conduct fundamental analysis and determine if something is a good investment. This book is value packed and is a steal for only $10.99! Don't wait! This value packed book is only $10.99 for a limited time! Get it now! Instagram has been blowing up recently and has become a viable way to create a stream of income and start a business. The hardest part of it all is growing a following, and many people seem to want to cut corners and end up falling into traps. Entrepreneur Motivations is someone who was a complete beginner when he started Instagram in March of 2018, and it took him months of experimenting to find strategies that work. Instead of spending your valuable time trying to figure out how to grow your account, get them ALL NOW! 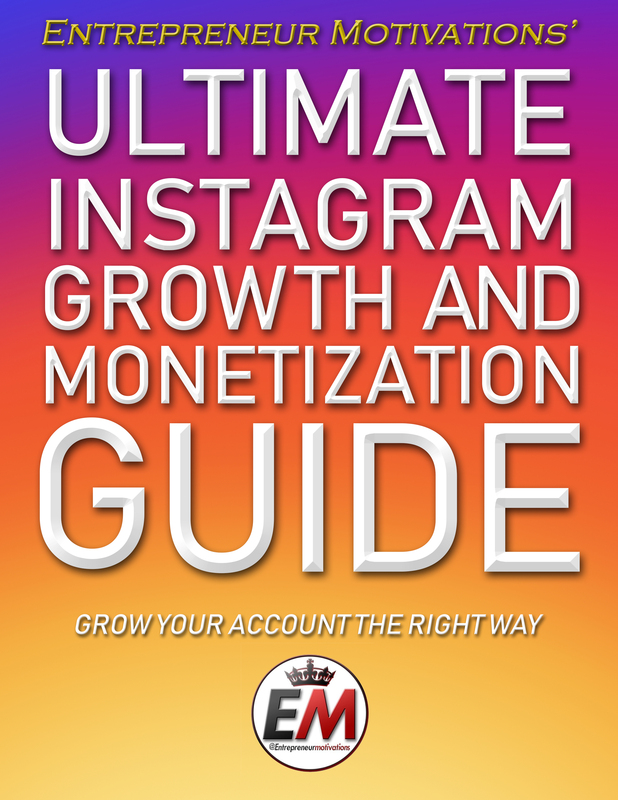 Get Entrepreneur Motivations' Ultimate Instagram Growth and Monetization Guide for everything you need to know to be successful on Instagram. From tips and tricks to effective monetization methods, this book has it all. It doesn't take too much time to build an account either, Entrepreneur Motivations built his account while still in SCHOOL at the age of 16. This just goes to show that with a little dedication, anyone can be successful on Instagram. Don't wait! Grab your copy of my Instagram Guide now!